Hide this Project (RNA Continental) Discover properties in other projects by hiding the ones that doesn't interest you. You won't see them in your searches further but you can unhide anytime later. Hide this Dealer (Vinod Singh)Discover properties by other dealers by hiding those whom you have already spoken to. You won't see them in your searches further but you can unhide anytime later. Hide this Dealer (Narayan Properties)Discover properties by other dealers by hiding those whom you have already spoken to. You won't see them in your searches further but you can unhide anytime later. Hide this Dealer (Property First)Discover properties by other dealers by hiding those whom you have already spoken to. You won't see them in your searches further but you can unhide anytime later. Hide this Dealer (Pankaj S Dembla)Discover properties by other dealers by hiding those whom you have already spoken to. You won't see them in your searches further but you can unhide anytime later. Hide this Dealer (Aarushi Bansal) Discover properties by other dealers by hiding those whom you have already spoken to. You won't see them in your searches further but you can unhide anytime later. Hide this Dealer (Harish Real Estate Agency)Discover properties by other dealers by hiding those whom you have already spoken to. You won't see them in your searches further but you can unhide anytime later. RNA Continental, located in Mumbai, is a residential development of RNA Corp. It offers spacious and skillfully designed 2BHK and 3BHK apartments. The project is well equipped with all the basic amenities to facilitate the needs of the residents. The site is in close proximity to various civic utilities. What is the location of RNA Continental?The location of the project is Chembur (East), Mumbai Harbour. What is the area of apartments in RNA Continental? The area of apartments offered in the project ranges from 1395.0 sqft to 2120.0 sqft. How much is area of 2bhk in RNA Continental? Two-room units (2BHK) in the project are available in an area of 1395.0 sqft to 1565.0 sqft. 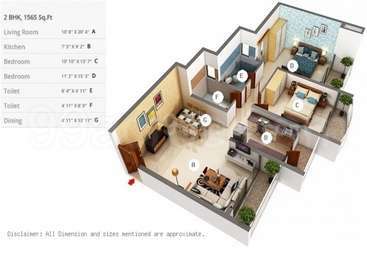 What is the area of 3 bhk in RNA Continental? 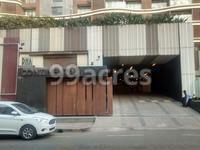 Three-room units (3BHK) in the project are available in an area of 1900.0 sqft to 2120.0 sqft. What is the price of 2 bhk in RNA Continental? The project offers 2 BHK units within Rs. 20000000 to Rs. 25000000. What is price of 3 bhk in RNA Continental? 3 BHK apartments in the project are available at a price of Rs. 26500000 to Rs. 37500000.
are already in the pipeline which will largely contribute in the development of Residential and Mixed-Use Real Estate in Mumbai. RNA Corp. has been regulating its quality objectives and has established quality assurance systems for monitoring the progress. Moreover, every project matches the highest standards of quality and excellence, and has become a hot favorite among the buyers. Low Budget investment,in Low Maintenance Open Market. Expected to completed in ? My budget is around 2-3 Cr and I want a nice property in Chembur itself. So, please tell me is there a chance that I can get a unit for myself in RNA Continental? Chembur is a nice locality to live in especially for end-users as public transport is readily available and the area is well connected via roads and railways. In addition, the area houses several projects by reputed builders such as Wadhwa Promenade, Sai Leela, Alta Vista, Parkwoods, etc. Chembur has reputed schools like OLPS and Saint Anthony, and entertainment hubs like Golf Club. The Joy Hospital and Chembur Railway Station, are also in the vicinity. The best option is to undertake a site visit, gauge the construction quality of the apartments and also take a look at the neighbourhood. Yes, Gajender, you can definitely get a unit for yourself in RNA Continental as the resale price for the units here starts from Rs 2.5 Cr and goes up to Rs 4 Cr as per the current price trends. You can negotiate with the seller further. It is wholly up to you and your negotiation skills. You can choose from 2, 3, 4 BHK apartment measuring 970-2,790 sq. ft as per your preference and requirement. It is a high-rise building with 18-storey towers in 8 wings. Being a resident, you will get a list of amenities such as lift, water supply, firefighting equipment, Intercom, car parking, gym, club house, and play area for kids, among others. In order to confirm all the details, you should visit the site at least once prior to purchase.